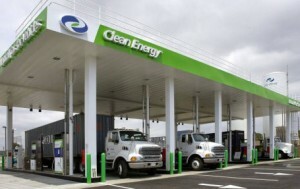 Three reasons why liquefied natural gas (LNG) and compressed natural gas (CNG) are looking good for fueling farm machinery and road transport. 3. How long could Australia thrive if our oil supplies were cut? LIVESTOCK transporters and produce truckers are in the firing line to go broke under the federal government’s carbon tax scheme. That’s the grim warning about the trucking industry’s future delivered by Australian Trucking Association (ATA) chairman David Simon in an address at the National Press Club in Canberra last week. Mr Simon said the Clean Energy Package was based on the assumption that businesses would respond to the carbon tax by reducing their energy use or switch to renewable energy sources, and that businesses that cannot would be able to increase their prices, subsequently changing their customers’ behaviour. But neither of these assumptions fit the commercial reality of the trucking industry, he said. Experts at the World Health Organisation (WHO) say diesel engine exhaust fumes can cause cancer in humans. They say they belong in the same potentially deadly category as asbestos, arsenic and mustard gas. Australia is the world’s ninth-largest energy producer and there are many renewable and non-renewable energy resources in our country. Despite this, we are heavily dependent on imports of refined petroleum products and crude oil to meet our liquid fuel demand. With such a spread-out population, Australia relies heavily on road transportation to move goods and services around. Our transport system is more than 95 per cent dependent on oil.